Melaleuca’s primary mission is to “enhance the lives of those we touch by helping people reach their goals.” In just a little over two decades after the company’s corporate rebirth, they have generated more than $1 billion in sales revenue spanning across nineteen countries. Melaleuca is one of the largest catalogue and online wellness retailers in North America and their success speaks for itself. In addition, Melaleuca is the largest manufacturer of consumer-packaged goods in the northwest United States. Over a million customers shop with Melaleuca every month, which is a testament to the high quality and demand for their products. Their direct sales model is one of the strongest and most stable in their chosen industry. Furthermore, more than 62.2% of the company’s sales are from direct sales to clients who are not and have never been distributors and another 23% who have been a Melaleuca distributor at one time and they continue to buy the products for their own personal use. Melaleuca’s direct sales model is very important to the company’s success. They primarily rely heavily on referrals rather than investing millions on advertising and stocking the shelves of big box retailers. This is what keeps Melaleuca competitive with other consumer product manufacturers. When it comes to consumer direct marketing and sales, Melaleuca is much more than just their core of numerous and highly successful products. They also present an opportunity to earn money as an independent marketing executive, which gives you the ability to become an entrepreneur by simply following their consumer direct sales program. Melaleuca’s independent marketing executives facilitate the sale of the company’s products that are sold directly to the consumer through the catalogue and also on the Internet. Just to clarify, IME’s do not actually sell Melaleuca’s top of the line products to the customer. However, they introduce the company’s products to others who then purchase directly from the company, which is a very important distinction between direct sales and multi-level marketing. The direct sales method greatly simplifies the process for both shopper and marketing executives and this is what establishes Melaleuca’s direct sales model as a straightforward, uncomplicated, and extremely productive system. By working with Melaleuca’s consumer direct marketing referral program, individuals can proudly be a member of an ethical network sales strategy that provides a proven method to earn commissions through purchases that are made by the customers that they have referred to the company. This truly is direct and network marketing at its very best. As a direct result of Melaleuca’s consumer direct marketing sales, they can keep their prices reasonably low. This is what allows them to maintain active research and development, which helps Melaleuca remain current with consumer needs and trends. This is what provides independent marketing executives with quality products that are always on the cutting edge and the company also stays highly competitive in the health and wellness industry. Melaleuca guarantees their all products are effective and unique, safer for your home and family, environmentally responsible, and more valuable than grocery store alternatives. Melaleuca has headquarters in Idaho and Tennessee and they offer more than 400 top of the line products for you to pass onto potential customers. Since there are so many products to choose from, IME’s are able to offer something for everyone. 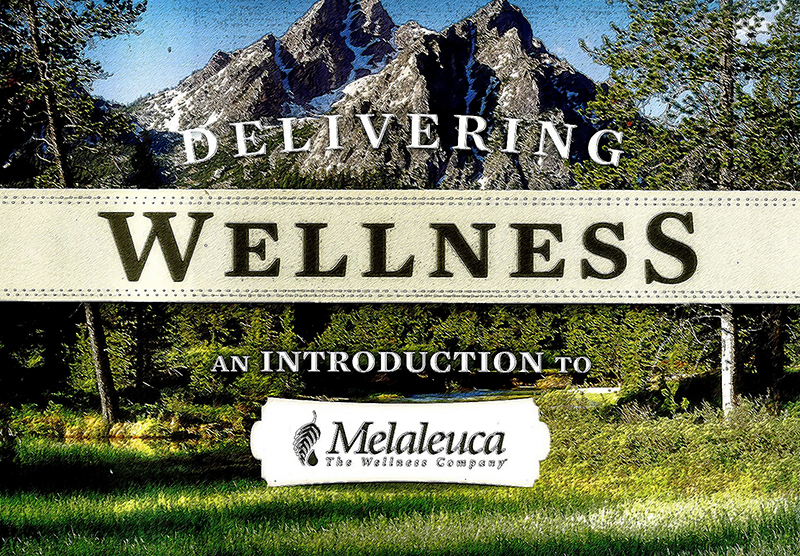 Melaleuca focuses their primary efforts on three areas: health, environment, and quality of life. Melaleuca offers nutritional supplements, cleaning supplies, and personal-care products to effectively cover the aforementioned areas of expertise. Everyone can benefit from superior cleaning products and personal care products in their home and there is always a demand for safe, quality nutritional supplements. The growing interest in the use of “green” products along with concern for global warming has lead to increased interest by consumers for more ecologically friendly cleaning products. Melaleuca makes it easy to recommend their green products and many customers simply fall in love with the Melaleuca product line. In fact, many the company’s signature-cleaning products have their own regular customer following and commercial cleaners use them as well. Of course, personal care products are equally important and always in-demand. In conclusion, Melaleuca’s direct marketing sales model offers you the opportunity to enjoy the products for yourself so you can discover their superior quality and numerous advantages to other products on the market. Once you see their effectiveness you will realize how enjoyable it can be to introduce others to the Melaleuca product line as an independent marketing executive. Once a customer purchases a product, it is delivered directly to them so there is no need to worry about having to deliver and store the products. Yep, no overhead is a beautiful thing. Melaleuca already has thousands of successful distributors thus proving that you can be successful as well. Their products are so good that some distributors have over a 95% customer retention rate, which is definitely one of the highest in the industry and it also means that when you find a customer, there is a good chance that person will stay a customer. Melaleuca has longevity and a successful history meaning that you can safely use them as a cornerstone when you decide to go into business with them. It is essential to gain the knowledge of exactly how to get your business in front of people that you don’t know at the present time. Without this knowledge, it is difficult to build a large enough business to supply the supplemental income that you are hoping for. Melaleuca offers a free training course that helps you learn how to use the Internet to market your business and therefore to increase your chance of your success. If you are even thinking about trying to build a business with Melaleuca, don’t pass on this marketing training. It could very well change your life and skyrocket you to success. Melaleuca’s loyal monthly shoppers are greatly rewarded and preferred member benefits include direct access to more than 400 products for your health and wellness that are effective, safer, and a better value than grocery store brands. Additionally, preferred members receive discounts of 30%–50% off of regular product prices. There is a 100% satisfaction guarantee on every product that Melaleuca offers. Preferred members also receive up to 100 loyalty shopping dollars during their first five months of enrollment and they can also earn up to 15% of product points in loyalty shopping dollars every month thereafter that can be redeemed for free products. You can happily rely on convenient doorstep delivery of al your favorite products and 24/7 access to Melaleuca’s product store and marketplace. If you are interested in becoming a Melaleuca preferred member, please take a moment to fill out the short form below and someone will quickly get in touch with you. Thank you and we hope you make a great choice for your future and join our winning health and wellness team.